Based around Co-Ex® brewer technology that offers both bean-to-cup and freshbrew drinks from the same compact and versatile machine. Bring the high street coffee shop experience to your location. 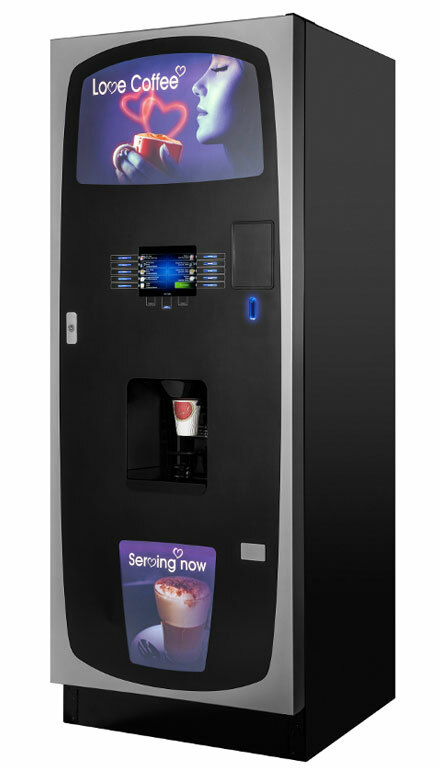 Voce media offers an extensive range of coffee style beverages at the touch of a button. Voce Media is built upon the class-leading and highly reliable hot drinks platforms from Crane, ensuring your coffee shop solution is open around the clock. 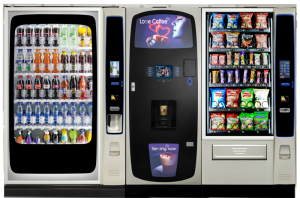 TOUCH SENSOR MENU offers the widest and most flexible choice of hot and cold drinks, delivering up to 32 high quality selections. That’s as many as 20 more drinks than competitor machines! ATTRACT CUSTOMERS with the inviting @Love Coffee’ graphics and enticing screen content to create a coffee shop ambience. UPLOAD your own high definition images via USB to promote products, brands, company or your location. it’s a great way to communicate ,educate and personalise with Voce Media. Highest quality beverages round the clock! VOCE MEDIA ESPRESSO offers the most comprehensive choice of espresso based coffee shop beverages brewed at high pressure from freshly ground beans. UNLIMITED MENU FLEXIBILTY. Tailor the menu to your location for unrivalled browsing and choice; or keep it simple – at certain locations, less is more. CHOOSE your favourite drink and make it your own way. Select your strength and add milk and sugar to taste! FRESHBREW MODELS have the Crane Oltre brewer inside, ensuring industry leading reliability and simplicity, tested to over 4 million vends. Co-E delivers the ultimate coffee shop experience and is easily removed from the machine for cleaning. voce media provides class leading reliability, which our customers advise means up to 59% less service calls than competitor models, ensuring your refreshment service is always open for business.